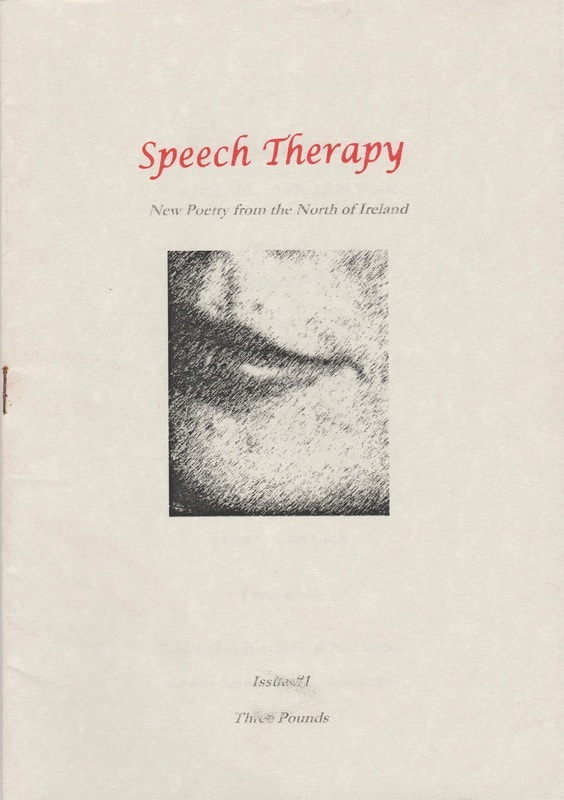 Originally established in November 2005 as a print zine, Speech Therapy's aim was to publish poetry that would promote the talents of new and established writers from the North of Ireland and beyond. It was envisioned that the magazine be used as a platform for writers to allow their work to reach the wider audience that it merits. Speech Therapy sought poetry that is clear in its purpose and non-abstract in meaning; poetry that has been formed from all walks of life; poetry that projects a voice. 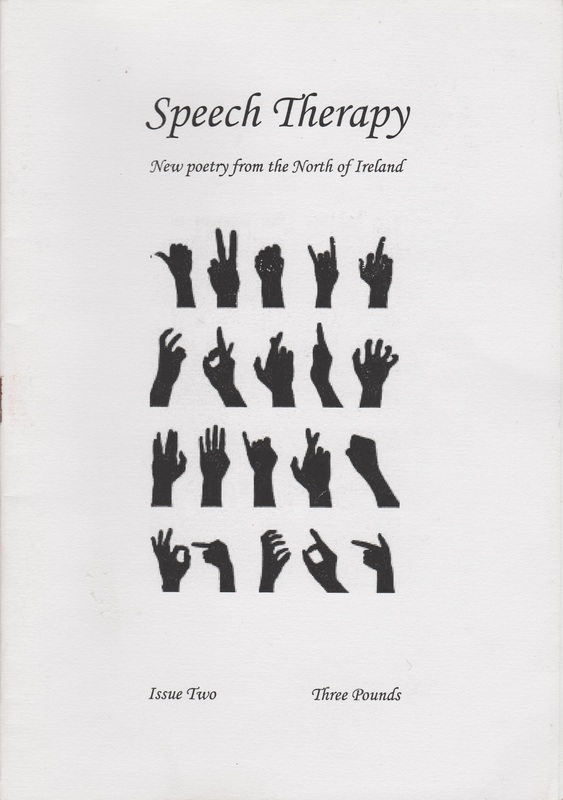 Handmade and lo-fi, but full of great writing, the first issue of Speech Therapy came out in Spring 2006, with a very successful launch night at the John Hewitt Bar in Belfast. Initially, only four print issues were published in total. ​In order to reach a wider audience, and make poetry more accessible, it was decided to relaunch as an online zine in 2010. Originally it followed an issue-by-issue format, but soon adopted a blog entry style for easier archiving, searching and accessibility. 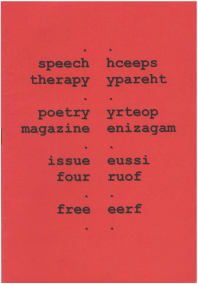 Speech Therapy eventually became a precursor of sorts for FourXFour Poetry Journal. In editing the zine, I felt that it was important to provide a platform of expression to emerging talent, as well as welcoming poetry from more established names, concentrating on displaying unique and powerful poetry. A number of the poets featured were published for the very first time. 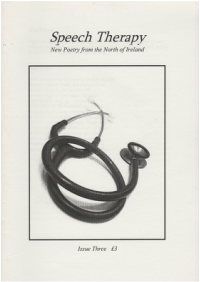 Poets in the first four print issues included: Darran Anderson, Mel Bradley, Stephanie Clegg, Mark Cooper, Aisling Doherty, Emer O'Neill, Jenni Doherty, Lynne Edgar, Seamus Fox, Colin Hassard, Marcus Keeley, Mark Madden, Gerry McCullough, Gerard McKeown, James Meredith, Christine Murray, Geraldine O’Kane, Abby Oliveira, Alex Pryce, Heather Richardson, David Smylie, Michael Wilson and many more. Thank you to all the poets who submitted their work, who the zine was happy to help bring to publication.